If you want to look for it this weekend, best to look from the Disposal Road area — the park is closed except for regularly scheduled events due to storm damage. 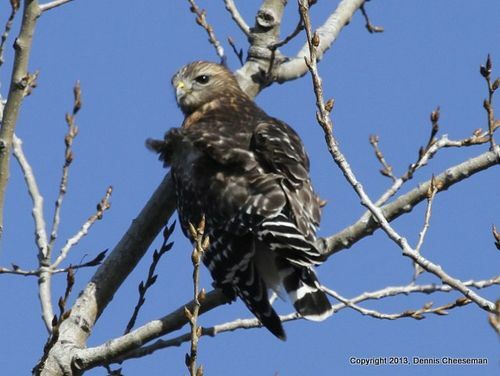 Last week, we posted the full list of birds seen by 2012 Meadowlands Big Year Grand Prize Winner Chris Takacs. Today we thought we would post the lists of our other two winners, Doug Morel (left) and Ramon Gomez — both of whom tallied 171 species, the highest totals for competitors who lived outside the district. Congrats to both Ramon and Doug, and sorry for not having good photos of them to share. You can download a pdf of Ramon's list below — Ramon did his Big Year old-school, and it's pretty neat to look at. Yikes, we forgot to print Chris Takacs' grand-prize-winning list of 211 species in the Meadowlands for 2012. 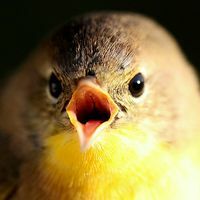 The full list follows, copied from eBird.org, including date and location for each sighting. 2012 Lists for Ramon Gomez and Doug Morel, who had the highest tallies for out-of-district residents, will be posted later today. Disposal Road Bald Eagle — Plus! 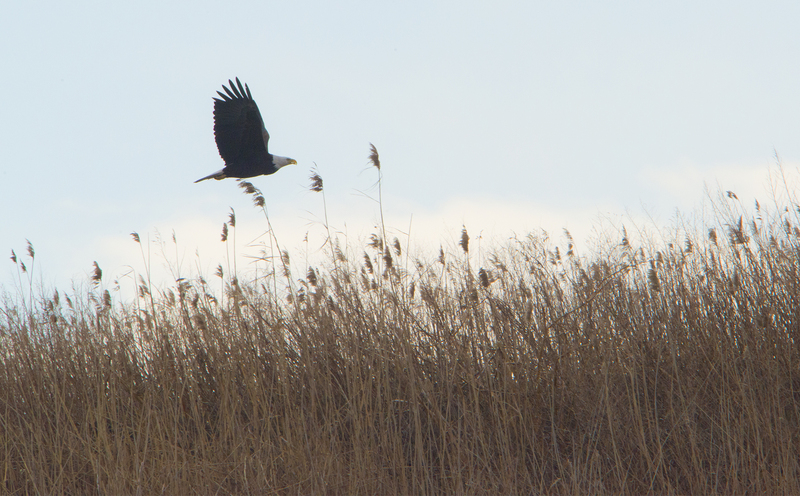 Kumar Patel was on Disposal Road yesterday morning to see if the Bald Eagle was still hanging around — it was. But it soon flew toward the south. Note: If you see a nearby perched eagle on Disposal Road (or elsewhere), do not get out of your vehicle to look at it or photograph it. 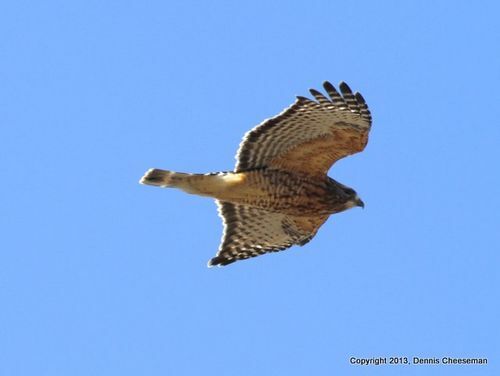 It will more than likely fly away, and others may not get a look or photo they otherwise may have gotten. 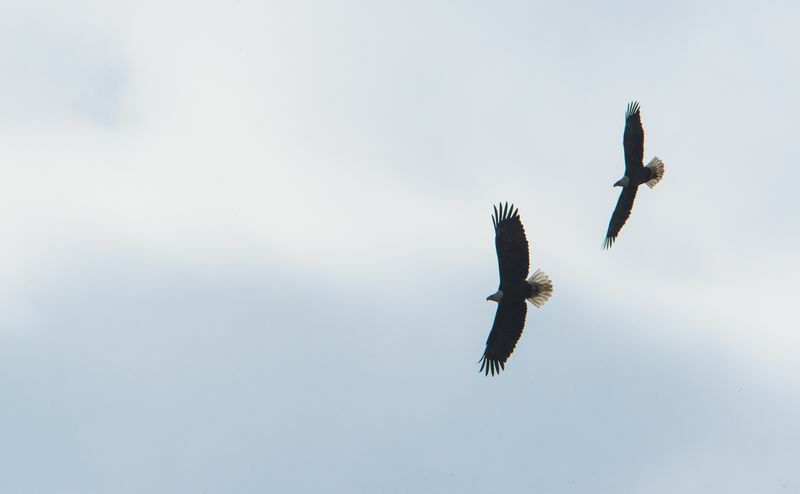 Below: The two eagles in flight. More of Kumar's eagle photos follow. The Hoboken Historical Museum is exhibiting all of the original paintings that Tom Yezerski did to illustrate his wonderful children's book, Meadowlands: A Wetlands Survival Story, from Jan, 27 through March 10. The museum is also hosting a free public reception for Tom on Sunday, Jan. 27, from 2 – 5 p.m., and an artist's talk on Sunday, Feb. 10, at 4 p.m. The reception is also celebrating the opening of the museum's main gallery exhibit, "Mapping the Territory, Hudson County in Maps 1840-2013." Tom's paintings will be in the upper gallery. All the information is at http://www.hobokenmuseum.org.